An annual celebration of traditional and contemporary woodland crafts, it promises to be a brilliant day out for all the family. Watch expert woodcraft professionals at work, learn how to survive in the woods and to cook wild food or simply take a walk through the magnificent Elvaston Castle grounds. 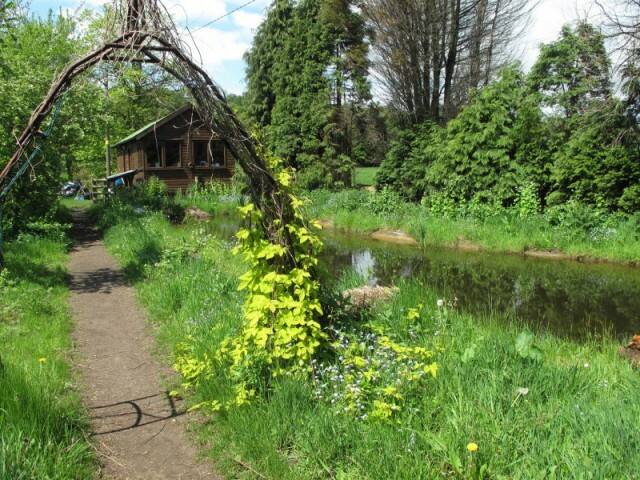 The event will be held at Elvaston Castle Country Park with Food by Veggies Catering Campaign. Admission is free, but parking charges apply. 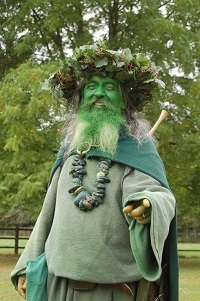 See Derbyshire Woodland Festival website for details. 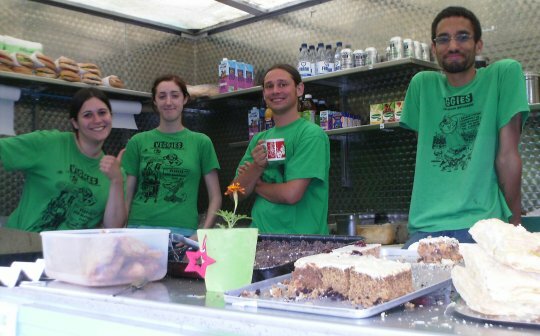 Nottingham Green Festival is organised by grass routes community based volunteers, with no statutory funding. The ethical standards and environmental / human / animal rights ethos of the event are long established, having evolved from the pre-history of the Nottingham Peace Festival from which it has grown. Nottingham’s own Green Festival provides the place for the whole family to learn, explore and try the latest in everything environmentally friendly and ethical, whilst also having lots of fun in the beautiful setting of the Arboretum Park. 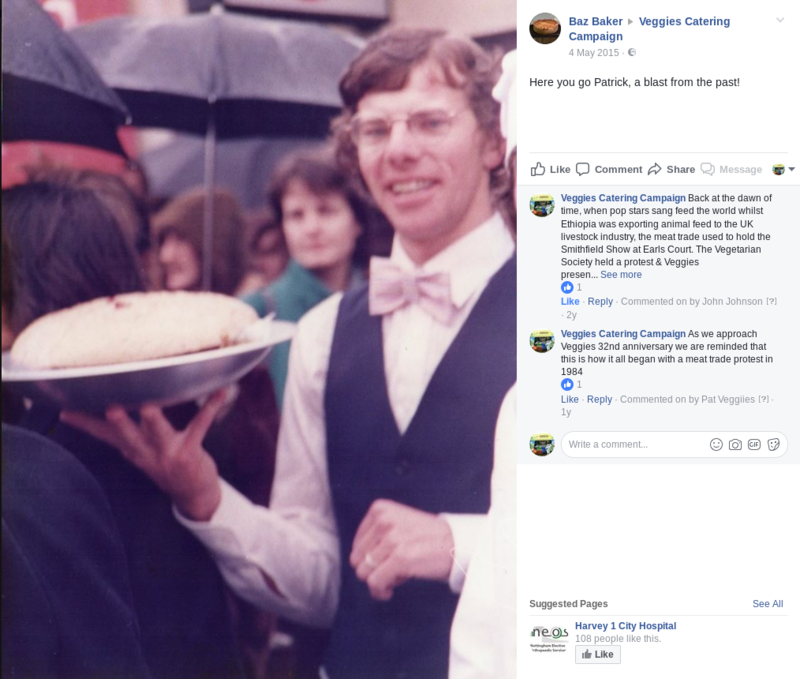 Veggies has catered and campaigned at the Green Festival, and the Peace Festival before it, for our entire 35 year history. 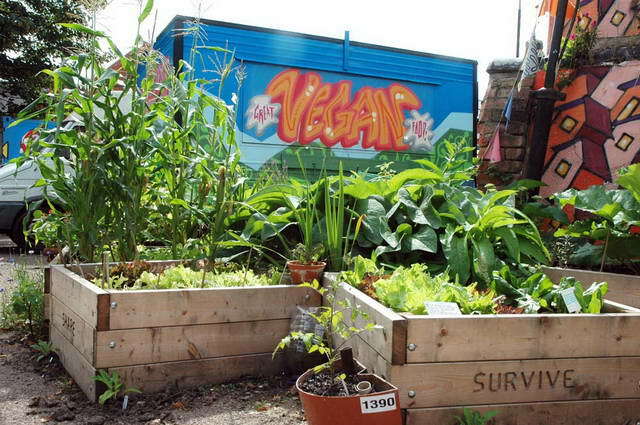 We were pleased now to be joined by 10 other vegan caterers and other artisan food producers, supporting the events’ new vegan ethos and building on a thirty+ year meat-free policy. 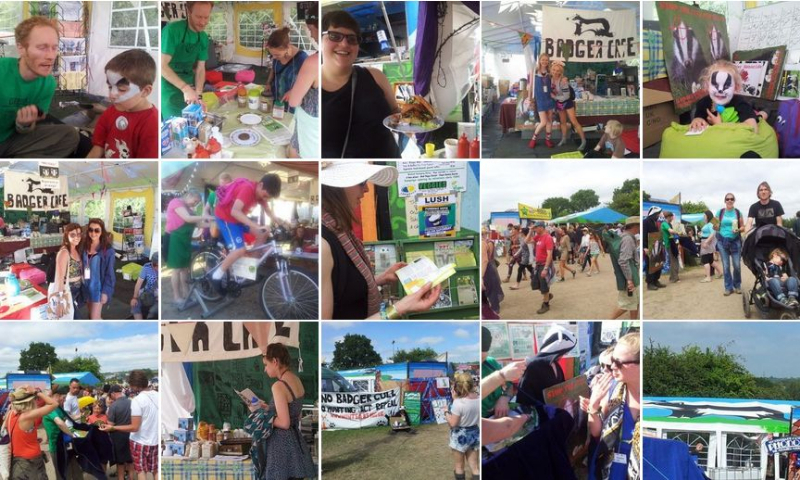 The Green Festival continues to break all records in terms of visitors & stalls. This will be the 27th Nottingham Green Festival and with your support it will be even bigger & better in 2019. You are therefore encouraged to support the regular fundraising events and join in with the planning group meetings. Find full details at www.nottmgreenfest.org.uk/, find us on facebook and follow us on twitter. 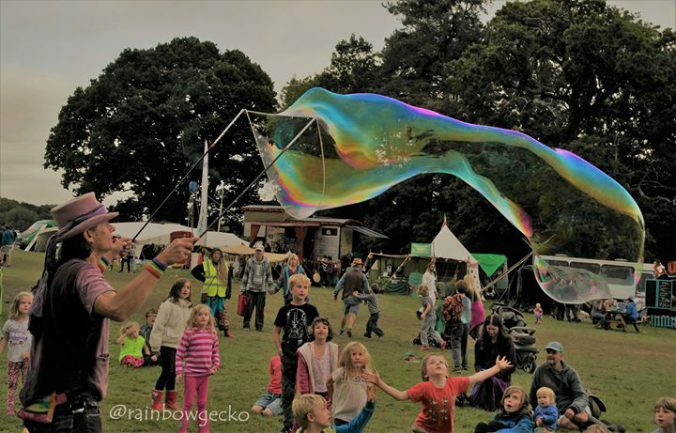 Shambala is a creative, non-commercial, ethical and family-friendly festival with a wild side and completely independent from advertising and sponsorship! In 2016 Shambala went Meat and fish free, to continue their mission to keep Shambala at the cutting edge of sustainable event organising. 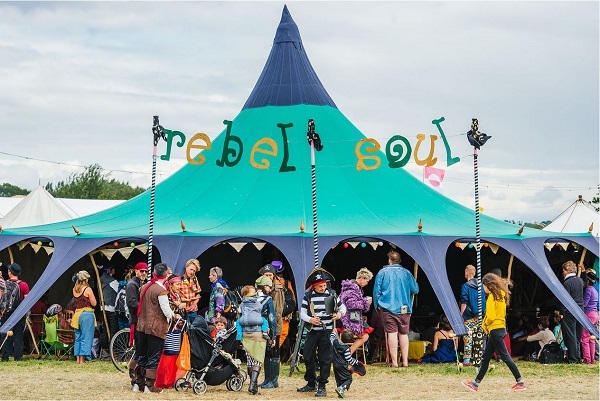 “… we’re setting ourselves a challenge: to provide the most eye-popping, mouthwatering, colourful, hearty array of cuisine at Shambala 2016 without a single bit of meat or fish on sale. Not a sausage. Instead, keep your eyes peeled for … a range of delicious food from around the world, debates, talks and creative exploration of the wonderful world of food. Veggies hope to assist again with facilities for the Rebel Soul space, with a programme of intellectual stimulation, music and performance that will challenge, inspire and fire you up. 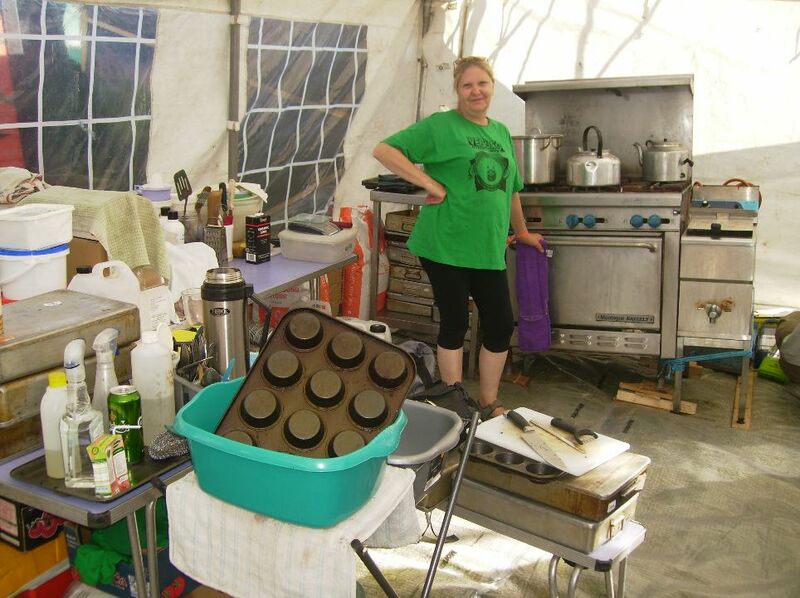 Whet your appetite: fresh-baked cake, pasties & samosas, teas & coffees (for donation), and fairtrade tuck shop. 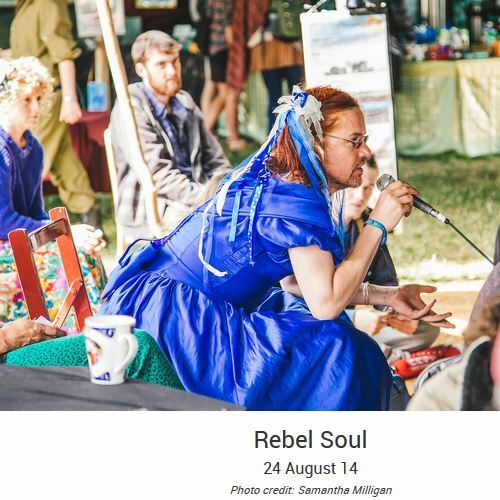 Rebel Soul will be a whole area combining beautiful tents and beautiful people within to celebrate rebellion, resistance and exploring positive futures. Stimulation for your mind with workshop, displays, info and bookstall and, for your aural delectation, a fine line-up of music and poetry. By night we celebrate with bangin’ bands and DJs from punk to soca to techno, and from all over the world. We have a store full of books and zines and a tuck shop with hot drinks and delicious cakes. 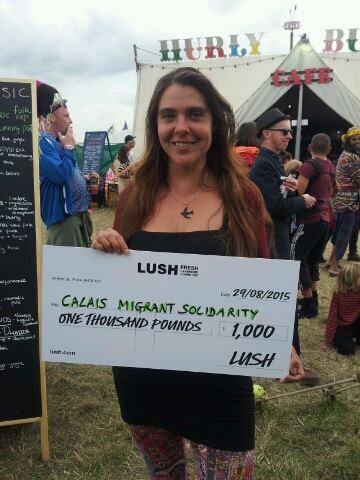 All our proceeds go to support grassroots campaigns – last year we funded groups supporting asylum seekers. To get to Shambala follow this cycle route from Nottingham or via the train to Market Harborough. The 2019 Earth First Summer Gathering is proposed for a rural site near the Pont Valley protection camp.. 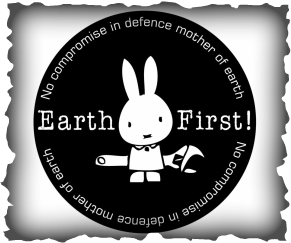 The Earth First! Summer Gathering is the place where people involved in radical ecological direct action – or those who want to be involved – get together for five days of time and space to talk, walk, share skills, learn, play, rant, find out what’s going on, find out what’s next, live outside, strategise, hang out, incite, laugh and conspire. 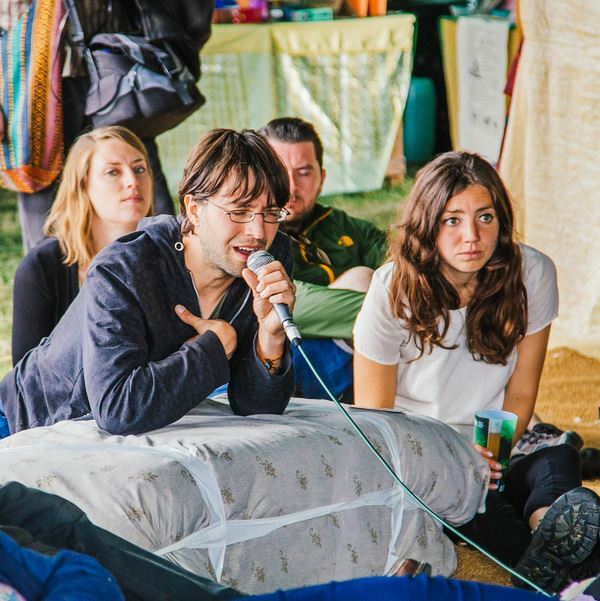 The workshops, networking and planning of actions at this low impact eco-living camp is organised non-hierarchically. It’s run without leaders by everyone who comes along, so come prepared to chip in! 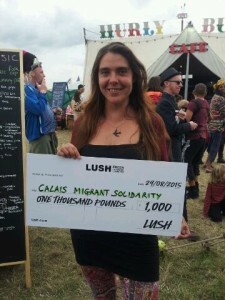 The Gathering may have parallel workshops coordinated as an embedded UK Animal Rights Gathering. 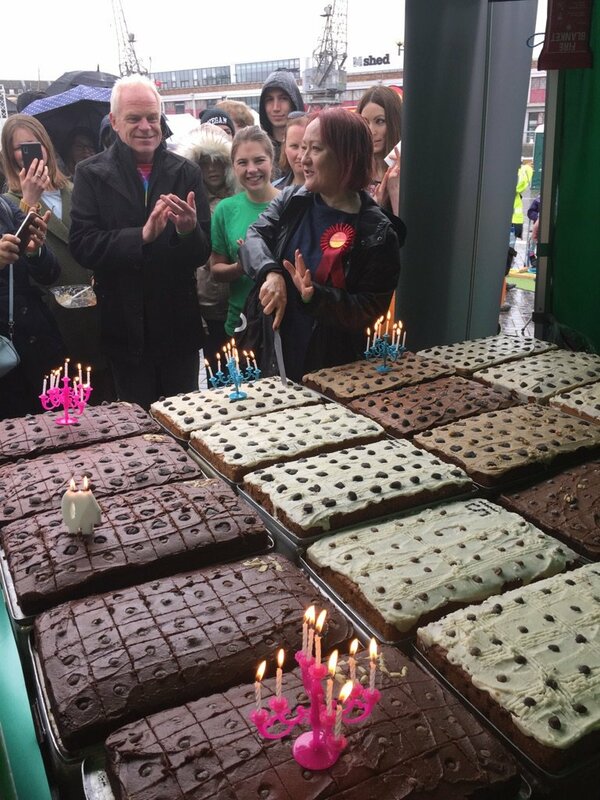 Veggies will coordinate Campaign Catering, as well as a cafe space, tuck shop, vegan cake baking workshops and may host a PM Press Bookstall. To help Contact Veggies. The Summer Gathering includes a full day on Friday 9th August at a (camping) venue in Derbyshire. 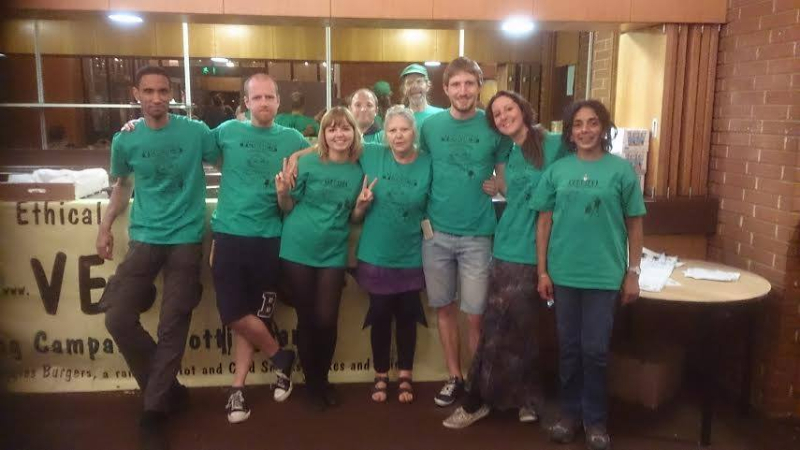 Radical Routes is a network of radical housing co-ops, workers co-ops and social centres, whose members are committed to working for positive social change. Nottingham members include Sumac Centre, Neds Housing Co-op and (associate members) Veggies Catering Campaign & Morrigan Housing Cooperative. 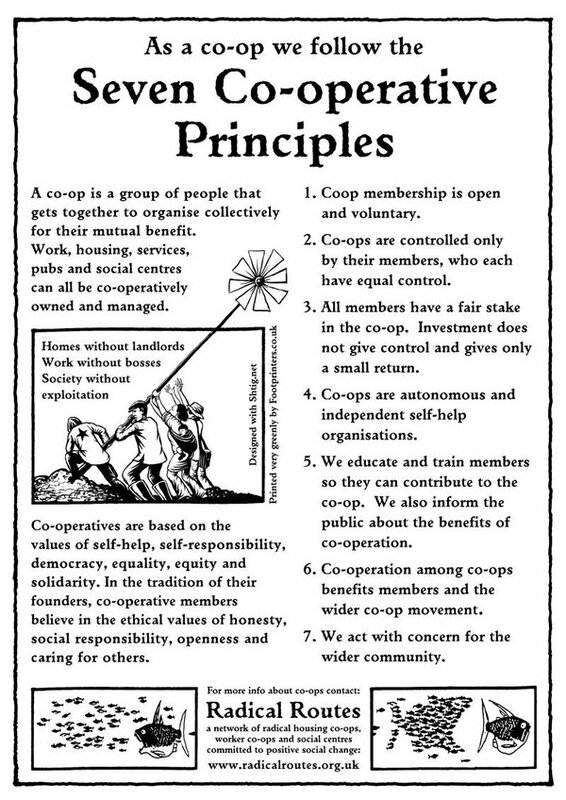 Four times a year, the member co-ops get together at weekend events which have a social function, but which are also the places at which all important decisions are taken. They are open meetings and anyone is welcome to attend. Winter in February -:- Spring in May; -:- Summer in August -:- Autumn in November. The Great British EJC is coming to Newark on Trent England in August 2019. It’s certain to be full of juggley goodness and all things fun. Spread the word and be sure to put it in your diary – 3rd to 11th August 2019. Sign up on our website to receive our newsletter. Be the first to find out all the news! And there will be #FoodByVeggies! A four day festival beyond hedonism powered by wind, sun and people… just the best! Educate for sustainability, create alternatives, frolic in fields. Powered by wind, sun & people, and Food by Veggies. Veggies hope again to be supporting a Co-operators Camp together with Radical Routes & others, in the Campaigns Zone. This year Veggies will be eligible again for the Ethical Caterer Award, having won it in 2015! We are continuing to push forward our minimal packaging policies – extending the use of proper mugs to serving soft drinks in returnable beakers, to reduce use of single use plastics & straws. We have now established distribution of our Ethical Consumer Best Buy Burger/Sosage Mixes to many other caterers to help raise their ethical sourcing. We have increased the hemp in the mix and aim soon to sourced our herbs, and possibly our hemp, from Bradley Nook Farm who, in 2017, donated it’s beef herd to all-life rescue and is transitioning, with our support, to vegan organic growing. Wild Peak are having a Fundraiser on Saturday July 6th to raise money to support local grass roots projects. We wanted to let you know so you can save the date if you are interested in coming along, or getting involved with providing any entertainments, helping cook, running a stall, etc. We are looking for anyone who might want to perform, or help create some entertainments, or share info re their project-get in touch! At the moment it is in the early stages (i.e. just fixing a date) but we imagine it will involve some relaxing in the field, enjoying the mid Summer vibe, listening to live music and poetry, ad-hoc games and entertainments during the day ( ideas and offers welcome-it’s going to be a bit D.I.Y! ), and refreshments available all day, and an early evening meal available later (all for donations…) All the food will be Vegan. 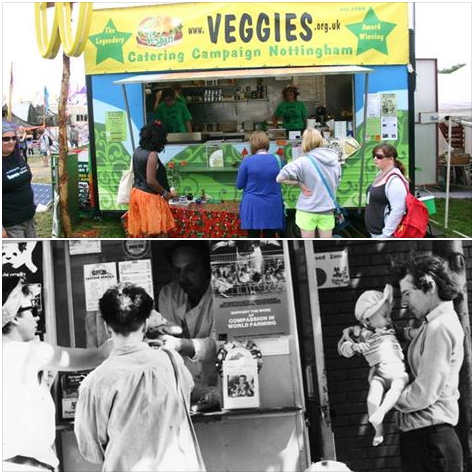 Veggies Catering Campaign from Nottingham will be providing veggie burgers, snacks & other #FoodByVeggies in the afternoon. We are hoping that evening music and camp fire vibes can continue after dinner, but all amplified music will be going off at 11.30 so people and kids can sleep! – money to spend on food and refreshments, a tent if staying over, (plus warm bedding, a torch, wellies if staying late as the grass is long and gets dewy, waterproofs-not that it will rain and we will also have structures up so rain would not stop play, and your own breakfast supplies), ideas for fun in a field and stuff to make it happen! N.B. if you are coming by car PLEASE DO NOT PARK ON WYVER LANE as there is very limited parking space for the cottages on Wyver Lane and it therefore needs to be for residents only-please help us to keep it sweet with our neighbours! If you need to bring a car then please bring it all the way down the lane to Lawn Cottage, where there will be a space you can park it on the field-cheers! The housing co-op is adjacent to a wildlife area and we are surrounded by ground nesting birds that don’t mix well with dogs. If you can’t come without your dog then it must be kept on a lead at all times whilst on site. 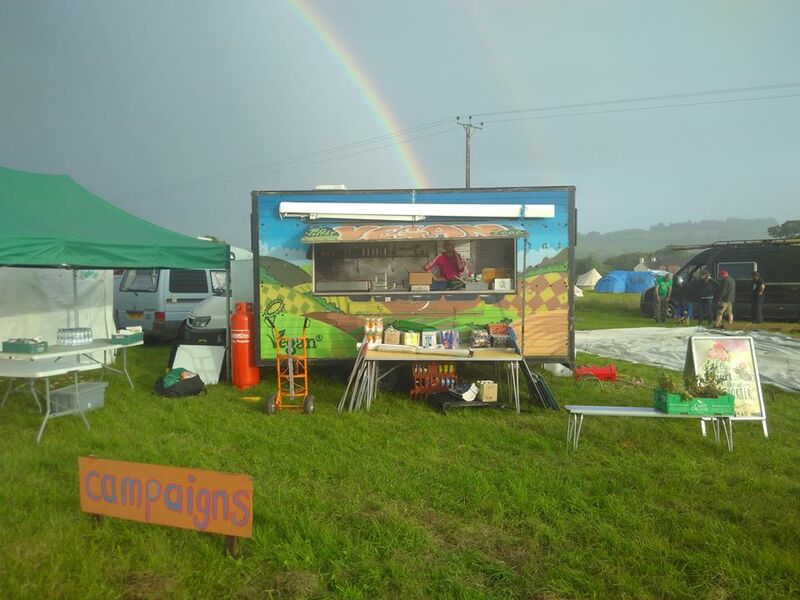 Veggies will be catering & campaigning at Glastonbury Festival from 9am Wednesday to Monday lunchtime, in the Green Futures Field. We set out from Sumac in . We hope to be at the same location at the crossroads from the Old Railway Track, past the Greenpeace Field towards the Stone Circle (Sacred Space). 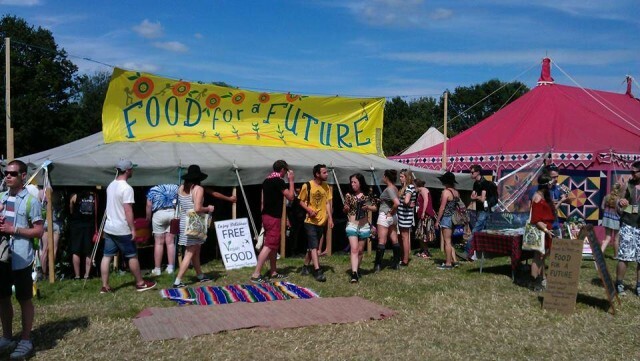 Our crew places are committed long in advance, but if YOU are at Glastonbury you are welcome to hang out with us and support our campaign catering & vegan outreach with the Food For A Future workshop space. 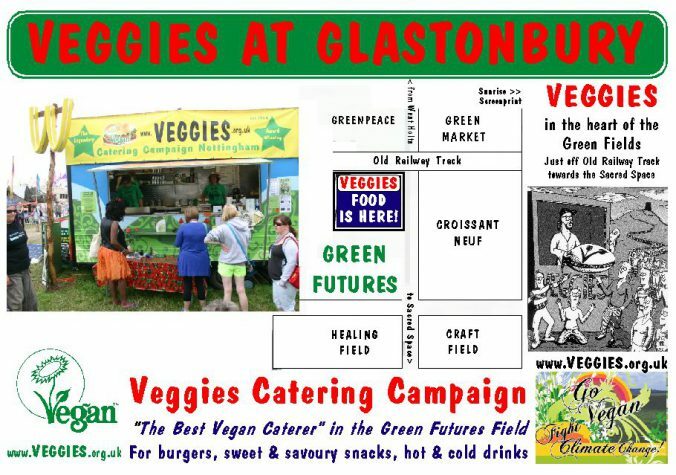 See the special Veggies Glastonbury 2016 webpage and follow our news – together with many more Vegan (& vegetarian) caterers – at the @GlastoVegan Twitter feed. Click through for all the news from Veggies at Glastonbury on Twitter. 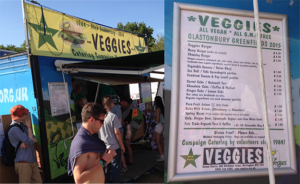 Thanks to BananaBackpacker.com for their image and review of vegan food at Glastonbury Festival 2015. 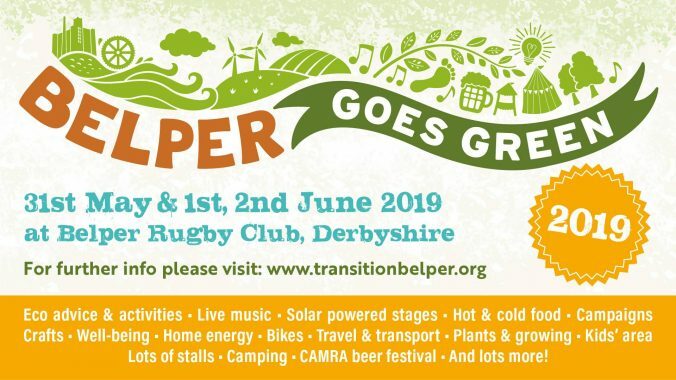 Belper Goes Green is Transition Belper’s ECO Festival that aims to share simpler, low carbon and environmentally friendly ways of doing things in a relaxed and uplifting way that puts a smile on the face of Belper. The dates for 2019 are Saturday 1st and Sunday 2nd June, plus a beer festival on Friday 31st May. Strutts Playing Field, Derby Road, Belper DE56 1UU – the home of Belper Rugby Club next to Babington Hospital and across the road from Strutts Community Centre. We’ll be open on Friday 1st June from around 6.00 pm for the beer festival in the club house and a full programme of entertainment in the main marquee. On Saturday 2nd and Sunday 3rd we will be open from 11.00 am – 5.00 pm.